We have many wonderful, local products right here in Rhode Island and New England. 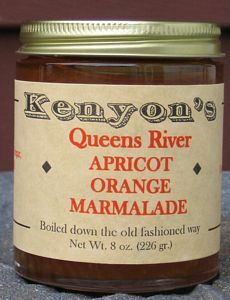 These jams are all natural and made in small batches for outstanding flavor. Wild Blueberry Syrup is perfect for topping our Buttermilk & Honey Pancakes, and with its chunks of blueberries you'll have blueberry pancakes without having to pick a berry! 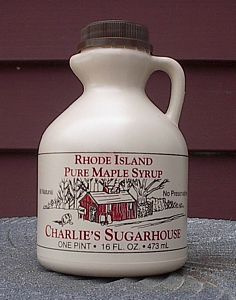 Maple Syrup is tapped from the maples in Greene, RI and bottled by Charlie's Sugarhouse. 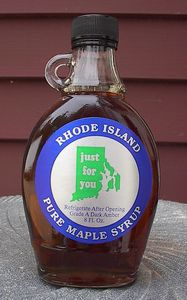 Of course, native Rhode Islanders cannot go without coffee syrup, produced by Dave's Coffee from Charlestown, RI.